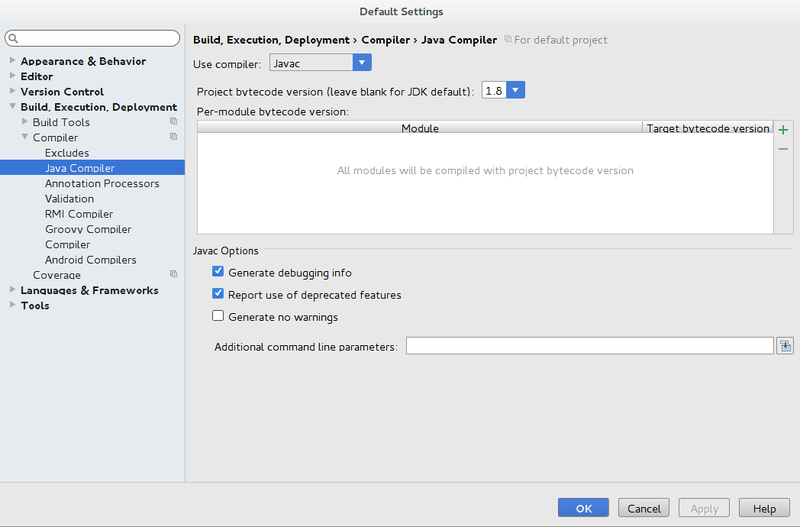 While compiling i get the error Error:compileSdkVersion android-21 requires compiling with JDK 7, saying that a newer version of JDK is required. Inside the JavaVirtualMachine folder I can see only 1.6.0.jdk folder, I cannot find any other folder. Tried reinstalling JDk 8 and 7! I'm unable to find the folder location of jvm 1.8, any idea how I can fix there. If you have already upgraded to Java 8, please note that the JDK location is now within /Library/Java compared to Java 6's location /System/Library/Java. So to fix this problem, Right click on the Project folder > Project Structure > SDK Location. Actually I just found the solution - JDK 7 is in /Library/Java/JavaVirtualMachines/jdk1.7.0_71.jdk/Contents/Home. I got a solution. It happened with me too and I searched a lot on Google but all I got was hints. A lot of hints. And I came up with a sure shot solution. Text highlighted in bold-italics may differ, so it's recommended that you browse it. Hope this helps. Spent a whole day messing up with gradle, android studio. Happy coding. The mistake I made was I tried to just select the jdk1.7.0_71.jdk directory and I kept getting the error message "Please choose a valid JDK directory". I was working on the format previously used for JDK 6 :( - It worked when I gave it the full path down to into Contents/Home. Subin's answer tells you how to find your JDK location which may be different depending on what you're trying to do. I am sharing this because I want to help those that found this question when they Googled the error. Most other "answers" on the internet were very time consuming. Follow below before you waste so much time like I did. I have been having this problem too. 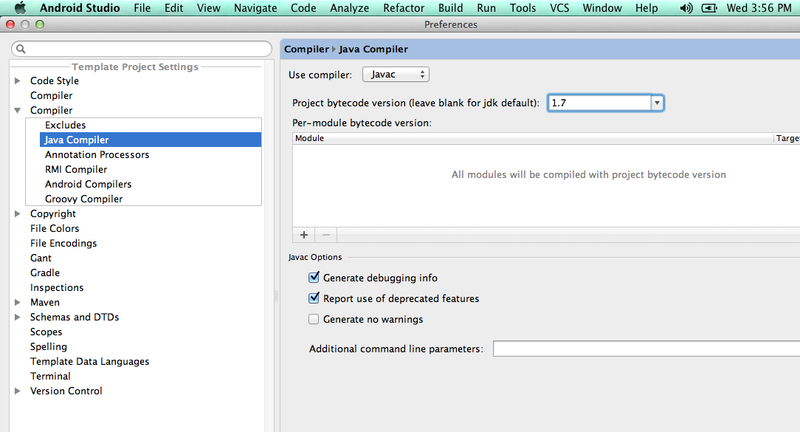 So far I cannot find a fix for it, so I've resorted to changing the maximum SDK version to 20, which works with JDK6. As for the file location, instead of Android studio assuming it should be in /System/Library/Java/JavaVirtualMachines/Insert JDK version/Contents/Home. In reality my JDK gets installed in /Library/Java/JavaVirtualMachines/JDK Version Here/Contents/Home. 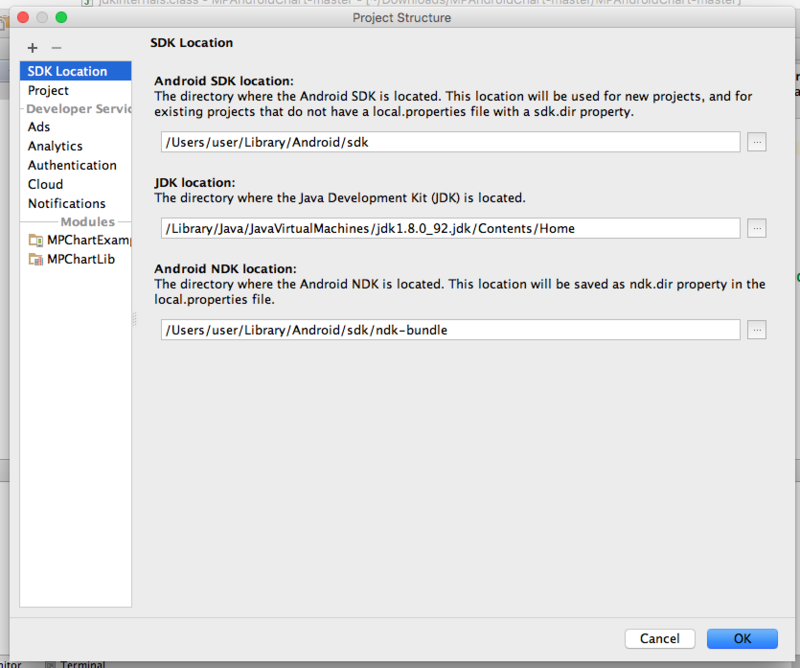 Trying to select a JDK in the actual directory where its installed makes android studio say that I need to select a valid JDK location. For now I can't find a fix, so like I said above, I have resorted to changing the maximum SDK version to 20 instead of 21 and it will stay like that until more people either suffer from the bug so that Google fix it. Or until an actual fix gets posted online instead of 101 ways for it not to work. Hope this helps for now, it isn't really a solution/answer but it is a work around that works for me, for the time being. The solutions on this thread are not valid for the same error in Android Studio 1.4 . The preferences menu, for example, is gone. Below is the solution for Android Studio 1.4 running on Ubuntu 14.04. This drop-down will be empty by default. Set to your preferred JDK, in the case of the screencap below, 1.8 . Voila, your project will compile. Download from here latest JDK. Copy and paste following line into your command line tool and press return. Copy output of this command. edit(click on square with three dots) JDK location(2nd in image) and paste command line tool output there. I have gathered these instructions using MacBook Pro. Not the answer you're looking for? Browse other questions tagged android macos or ask your own question. How can I change Android Developer to find Java JDK 7 when it just can't seem to find it?